This year the Gannon cup and university boat races took place took place on the 16th of March as part of Fáilte Ireland’s St. Patrick’s Day Festival. The races were scheduled to begin at 9:30am with the Sally Moorhead Cup for novice women. That race began slightly behind schedule and resulted in a disappointing loss for the DULBC novice women’s crew. The Dan Quinn shield for novice men was the next race of the day. Again after a slight delay the race began. One of the more exciting races of the day, the two crews were neck and neck for the majority of the race with a slight crab on UCD’s part proving to be a catalyst for DUBC’s charge, allowing them to power home to victory – the first in 3 years! Let that take away nothing from the fine race from our beginner’s crew, they rowed cleanly and were looking very strong throughout even against a physically taller UCD crew. 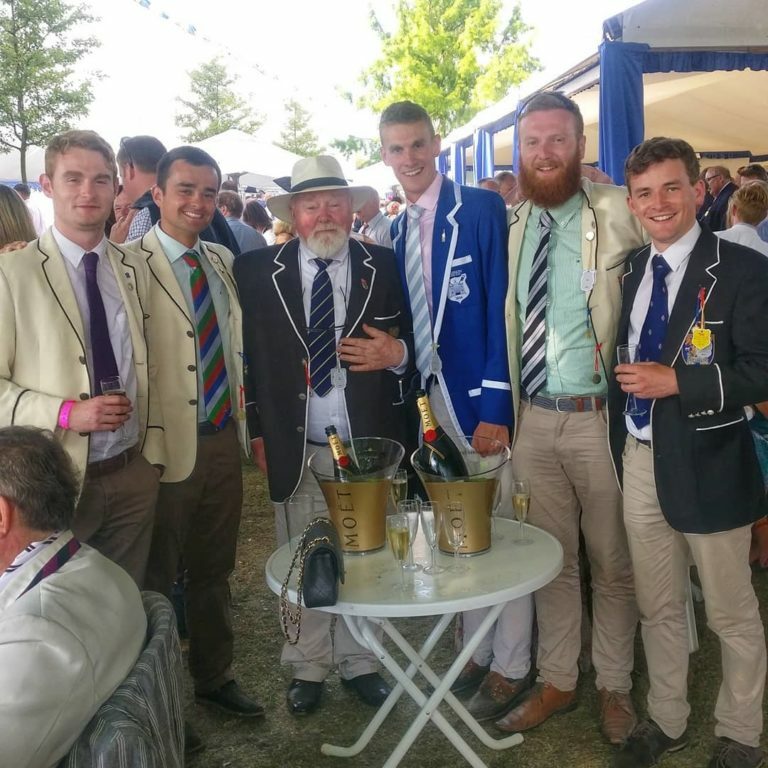 A special congratulations is afforded to our new Development Officer Charles Cunningham who has taken a group of uncoordinated lads and made fine oarsmen out of them even at this early stage of the year. This performance bodes well for things to come as we enter racing season in earnest and we wish them all the best in attempting to match the phenomenal success of our novice crew in 2013. The Corcoran Cup (which as an interesting aside is actually named after the aunt of the 3-man of our Gannon cup VIII – J. Michael Corcoran who donated the cup in the race’s early years) was another highlight of the day for Trinity crews. While it may not have had the same excitement as other races on the day, a hugely impressive win all the same. 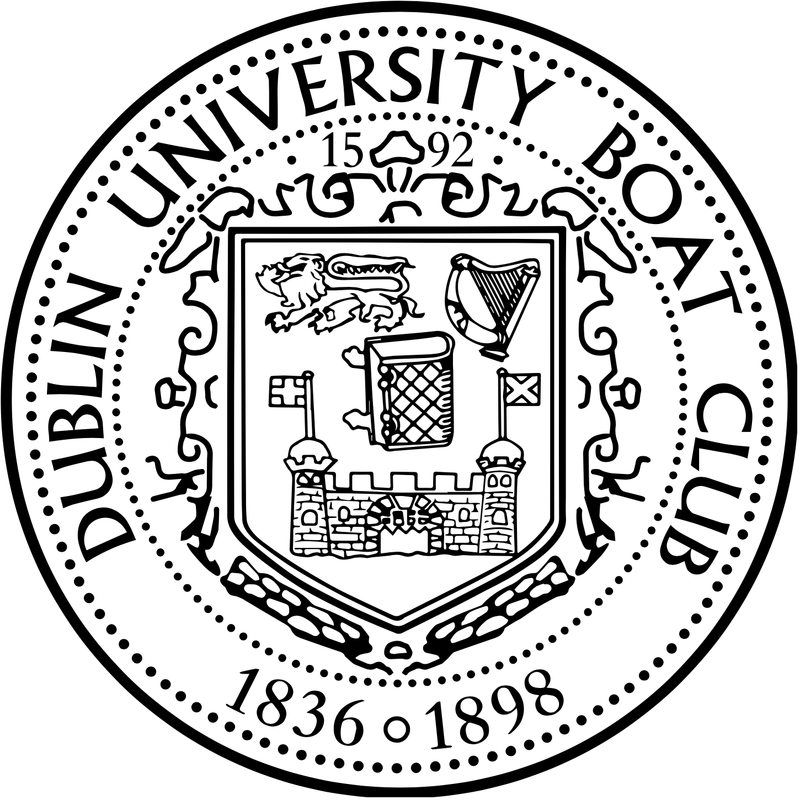 The ladies of DULBC went out to a commanding lead early on and held off a strong UCD senior VIII coached by Gerry Cantan, who was coaching DUBC up until last year, to take home the cup for the first time again in several years. Big congratulations goes out to the crew and their coach Andrew Coleman, and again we hope this is a promising sign for things to come this season and wish them all the best in the coming months. The final race of the day, the Gannon Cup, was was scheduled to go off at 11.30am, at slack tide. Delays in all of the other races on the day because of malfunctioning launches and difficulties in finding people to man the stake boats meant that the race took place almost an hour late, as the tide was coming out. When coupled with a strong head-wind on the course the race was always going to be slower than usual (a staggering 40 seconds slower than 2013) but that in no way took away from the day’s most exciting race. After a frantic first 3 strokes Trinity found their rhythm (striking 46) before pulling out to half a boat-length over UCD. The crew managed to maintain this lead going under Capel St. Bridge where UCD began to make a move. Trinity held their nerve and, rather fittingly, as the “Rossa Macken” (the name of the brand-new Empacher 8+ generously donated to DUBC by John Macken this year) passed under the O’Donavan Rossa Bridge just before the Four Courts, Trinity went on the attack. At halfway, going past the Four Courts, Trinity had managed to stretch out to what would turn out to be their largest lead of the race. Try as they might, the crew could not get out to open water over the UCD crew, however. UCD, lead by their stroke man – World U23 Silver medalist Niall Kenny who moved to UCD from NUIG this year – began to eat away at Trinity’s lead, slowly but surely and as the crews entered the last 700m of the race, going under the Joyce bridge, the crews were almost level. As they emerged after Wattling Street bridge onto the final straight to the line at St James’ Gate Brewery, the crews were dead level and the sprint for the line had well and truly begun. UCD then began to eek out a small lead as tragedy struck for Trinity as 4-man Luke Acheson (Capt. ‘13-’14) began to go into oxygen debt, collapsing with only 10 or 15 strokes to go. UCD rowed on and won the race, unaware of what had happened to Luke. Several rowers, and the cox, of the Trinity boat were also unaware of the fate that had befallen Luke and tried to keep rowing, before eventually getting the message from the bows. It took a significant amount of time to drag Luke, who was virtually unconscious at this stage into the Civil Defence’s launch before being brought all the way back down the course to an ambulance waiting at O’Connell Bridge. Thankfully however after a brief stint in the St. James’ hospital, Luke was discharged later that day, and is fully recovered from the incident. A disappointing end to a great race, however we have nothing but congratulations to a UCD crew which pushed us to the ends of our abilities, and beyond, to win a record equaling 7th cup in a row – equaling Trinity’s record from 1976-82. We look forward to the opportunity to race them in the coming months and, of course, in 12 months time for next year’s Gannon Cup. Another word of congratulations goes to all winning crews on the day. A great day of exciting racing showed off our sport in the best light possible. Thank you to Peter Wolfe for taking some excellent photos on the day, available here.